The hottest new toy this year has retro written all over it. 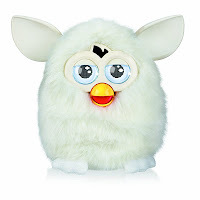 The original furby race was released on the unsuspecting public in 1998, and now they are back, packed with more technology, and more tricks. The new furby now develops a more unique personality and can even connect to your i-device (pad/pod/ped or whatever you have). These little furry funsters are selling out fast and you may not get the color you want, so shop now. Here is a old world variant on a modern variant on an age old classic. Words with friends is usually found on phones and facebook, but just like last years real life conversion of the Angry Birds video game, the Scrabble rip-off from Zynga has released a non-digital version of the popular word game. This game does come with an option to play a word and leave it on the kitchen table for 8 hours before poking a family member, reminding them it is their turn. Alternately, you could all sit down in the same room and play an entire game, face to face, until completion in about 30 minutes. CULTURE SHOCK. 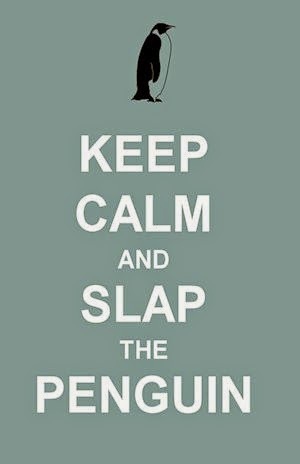 Angry birds are a perennial favorite and the latest incarnation is taking the world by storm. A long, long time ago in a galaxy far, far away there were some angry, angry birds. That's right, George Lucas has licensed out his Star Wars name to the angry birds people for a new game and the accompanying merchandise. Use the amazon widget below for links to all the SWAB options. Another big collaboration for this year has given us more options for the little people. Fisher Price and Disney have joined forces for the holiday season and provided a whole world of variations on existing themes. My top pick for this segment is the Little People Disney Princess characters, there are many options depending on budget and the world is infinitely expandable. They also fully integrate with existing little people toys. More electronics now, means more extreme expense. 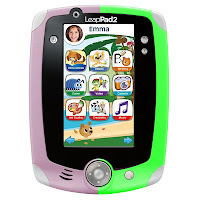 The LeapFrog LeapPad 2 system is yet another way for parents to defer their responsibilities for educating their kids by putting them infront of a screen. This thing is just like a tablet for kids and is suitably dumbed down. This $100 investment is just the start of the ch-ching for LeapFrog inc. You get 5 'apps' included with the system and have 100's more available for purchase, all in the $15-$20 price range. Then there is the rechargeable battery pack for purchase ($40) and on top of that, carrying packs, screen protectors ad infinitum... People will still donate money to this cash cow (cash frog?) for the option of keeping their kids quiet for a while; at least until it burns through the first set of 4AA batteries. The final idea I have for you is that timeless classic, Lego. Lego has been through many changes over the decades in order to stay relevant, but they have returned to the original (and best) format for the Avengers series. Cashing in on the super successful movie franchise, Lego have released a bunch of models based on and around Iron Man, The Hulk, Thor and their other buddies. Lego allows the young and imaginative mind to both create a universe and play in it, although I don't remember it costing anywhere near as much as it does these days. As of today, halfway through October, these toys are the ones causing the biggest buzz for Christmas 2012, but anyone who plans this far ahead knows that trends can change within a matter of moments and this post may be entirely out of date even before Halloween hits. Who knew that Squinkies would explode onto the scene last Christmas? You know your own kids better than I do, I'm just giving you an idea of what is out there right now. My one piece of advice is to plan now, before things go out of stock and you are forced to pay double or triple to a 3rd party vendor who bought up a bunch of 'Hot Christmas Toys' back in August.